Richardson, TX — April 21, 2016 — Systemates Inc., creator of Projectmates cloud based construction management software, presented at the 2016 TAPPA Conference in College Station, Texas. Facility owners from colleges across the state gathered to learn about the significance of online construction management software to simplify the construction management process, provide a single point of reference for all stakeholders, improve transparency and accountability, and serve as a secure repository for all design and construction documentation. "Traditional project management methods take a lot of time and not everyone stays 'in the loop.' If you are not copied on a schedule, invoice, or change order and you are a decision maker, the project gets delayed," explained Alpaugh. "With current cloud technology every team member and decision maker has project access and notifications for required approvals. Whether you are actively involved or on the fringe of the project you have immediate access to all the data you require to do your job." Fewer errors with electronic routing and approvals of contracts, proposed change orders, change orders, and invoices. Purchase order numbers, funding codes, and certified payroll information are tracked for the life of the contract and across departments from Facilities and Finance. This saved the university countless administrative hours because of reduced data entry and less "hunting down of paperwork." Program Reports that used to take hours to compile are accessible in real time, increasing transparency for project stakeholders including presidents, deans, and the board of trustees. Online construction project management software also protects the owner since the organization has ownership of all project data and archives, which are available months and even years from project completion. "Legal issues and lawsuits can happen and when the attorneys request a copy of all the project documentation it can take weeks and hundreds of man hours to gather and copy everything. With a cloud based system everything is immediately available electronically for review and distribution," said Alpaugh. MJA Construction Services is a small privately held firm providing Construction Management, Facilities Planning and Construction Estimating services to Facility Owners and other Professional Consultants. Founded by Mark J. Alpaugh in 1995 as a sole proprietorship, the firm has provided its services to many public and private clients throughout the years. One of the firm's most important traditions is the quality and accuracy of its cost estimating services whether it is based on conceptual plans or construction documents. These estimates are used by Owners and Architects to set project budgets they can trust on bid day. Several architects and higher education clients have retained MJA Construction services for multiple projects over the last 19 years due to the quality and reliability of our consulting services. 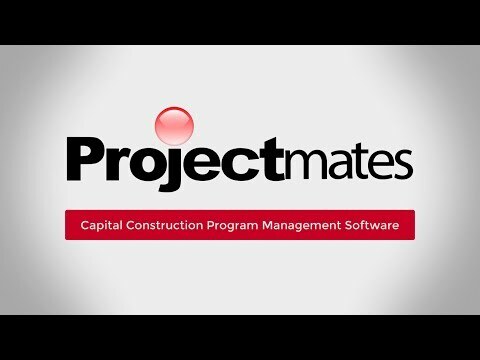 Founded in 1995 by leading architects and software engineers, Systemates developed Projectmates to equip owners and owners' representatives with a secure, sophisticated construction project management software solution. Projectmates' collaborative platform dramatically improves project execution, cuts costs and delays, increases accountability, and reduces risks. With its cutting edge technology, Projectmates creates one seamless platform for managing the complete lifecycle of a building, from planning, bidding, and building to maintaining the facilities. Over 50,000 users from organizations such as Retailers, Real Estate developers, Educational and Government agencies rely on Projectmates to manage billions of dollars in capital construction programs. Systemates is privately held and headquartered in Richardson, Texas. Whether you are actively involved or on the fringe of the project you have immediate access to all the data you require to do your job."